← Warlock Wednesday’s Episode 273 – Black Panther Is King! 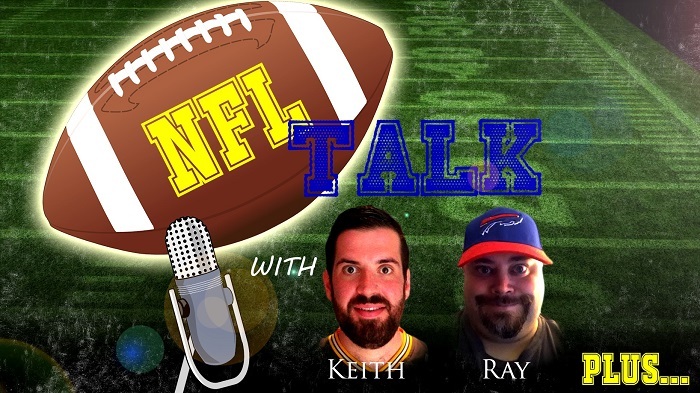 Ehnother Podcast Proudly Presents: NFL Talk Plus Episode 57! This entry was posted in NFL Talk Plus and tagged Aldon Smith, Antonio Cromartie, Atlanta Falcons, Blake Bortles, Buffalo Bills, Carolina Panthers, Charles Johnson, Chicago Bears, Chris Ivory, Dallas Cowboys, Demarcus Lawrence, Detroit Lions, Donnie Jones, Ed Hochuli, Ezekiel Ansah, Football, Garry Gilliam, Graham Gano, Green Bay Packers, Jacksonville Jaguars, Jarvis Landry, Jeff Triplette, Jonathan Stewart, Kansas City Chiefs, Keith, Kurt Coleman, Kyle Fuller, Lamarcus Joyner, Le'Veon Bell, Los Angeles Rams, Marcus Johnson, Matt Bryant, Matt Forte, Miami Dolphins, Michael Bennett, Mike Glennon, Muhammad Wilkerson, New Orleans Saints, New York Jets, NFL, NFL Talk, Oakland Raiders, Pernell McPhee, Philadelphia Eagles, Pittsburgh Steelers, Quintin Demps, Ray, Robert Quinn, Sammy Watkins, San Francisco 49ers, Saquon Barkley, Seattle Seahawks, Shaquem Griffin, sports, statistics, Tavon Austin, The Competition Committee, The Good Place, The NFL Combine, Vontae Davis, Warlock Hour, Willie Young. Bookmark the permalink.